The areas adjacent the Detroit Superior Bridge are a series of fractured, fissured and scarred city landscapes. Re-connection and re-emergence of these elements, however, offer can greater potential than the original forms themselves. 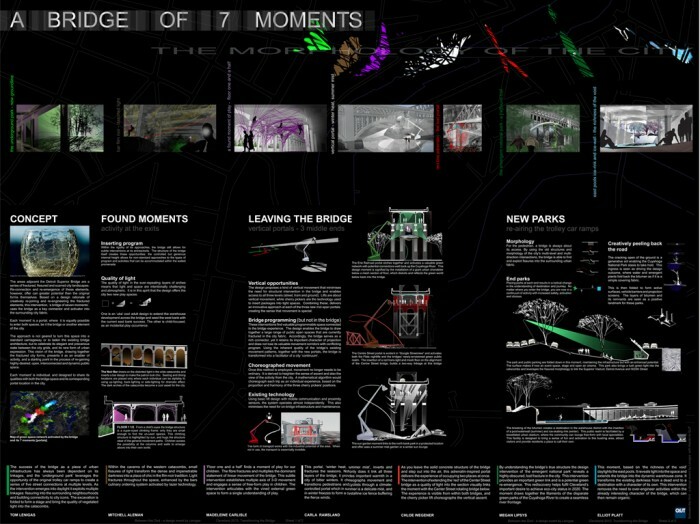 Based on a design rationale of creatively re-joining and re-engineering the fractured elements, this intervention, Ôa bridge of seven momentsÕ, uses the bridge as a key connector and activator into the surrounding city fabric. Each ÔmomentÕ is a portal, where it is equally possible to enter both spaces, be it the bridge or another element of the city. 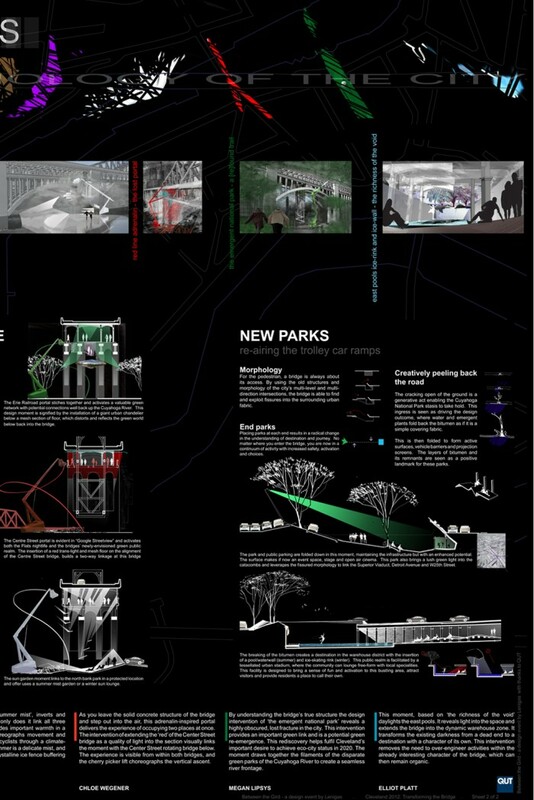 The approach is not geared to turn this space into a standard carriageway or to laden the existing bridge architecture, but to celebrate its elegant and precarious state between the city grids, and its rare form of urban expression. This vision of the bridge, drawing together the fractured city forms, presents it as an enabler of activity, and a starting point in the process of re-gaining highly-desired, open, interconnected and dynamic public space. 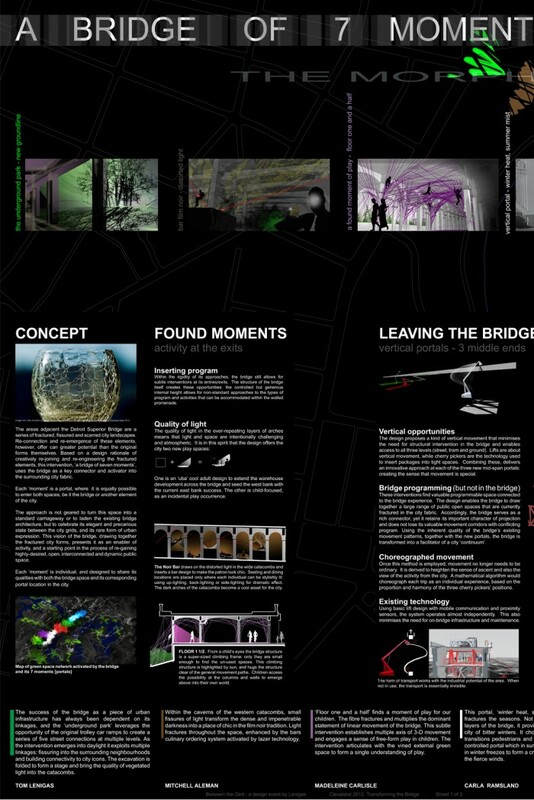 Each ÔmomentÕ is individual, and designed to share its qualities with both the bridge space and its corresponding portal location in the city.